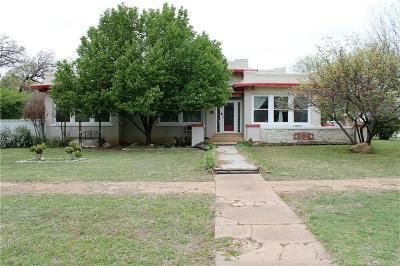 This charming 3 bedroom, 1 bath home is a unique find oozing with personality. It is adorned with a breathtaking stained glass front door & so many other special touches including the wooden floors, built in shelves, & beautiful light fixtures. The wrap around porch & back deck make a great place to entertain or unwind. A cozy guesthouse is nestled at the back with a kitchenette & bathroom waiting for those overnight visitors. Owners have replaced the old windows in the house with energy efficient double hung windows letting in the perfect amount of natural light. The plumbing & electrical have been updated as well. A new longer life roofing material has been installed on top of the tar roof.